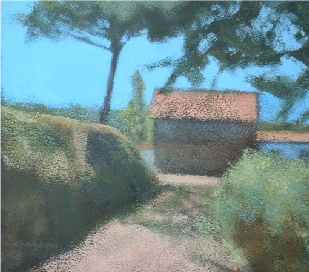 A graduate of Glasgow School of Art (GSA) Peter is a regular exhibitor in RGI, Glasgow; RSA, SAAC, Edinburgh; Paisley Art Institute and several galleries across Scotland as well as the Thomson Gallery, London, and Richmond Fine Art Gallery, Surrey. 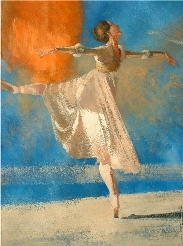 Peter was commissioned to do a painting of Scottish Ballet and his painting, �Rehearsal�, is on permanent display in the foyer of The Theatre Royal, Glasgow. 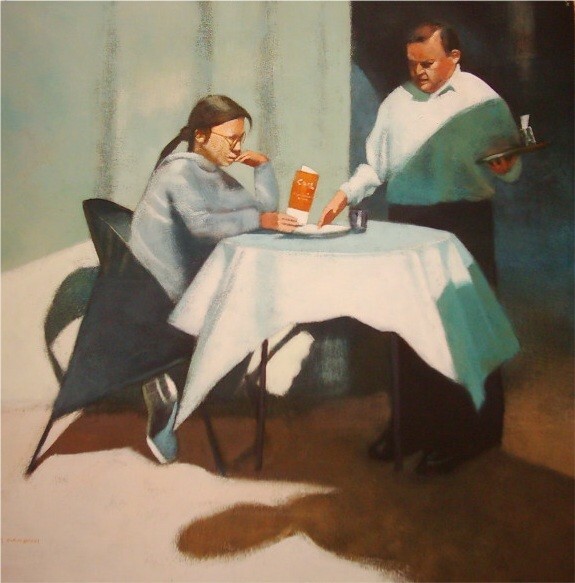 His work is held in public collections such as Scottish Arts Council, Lanarkshire Education Collection as well as in private collections in Europe and USA. 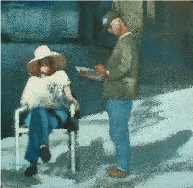 He works with acrylic paint using a dry brush. 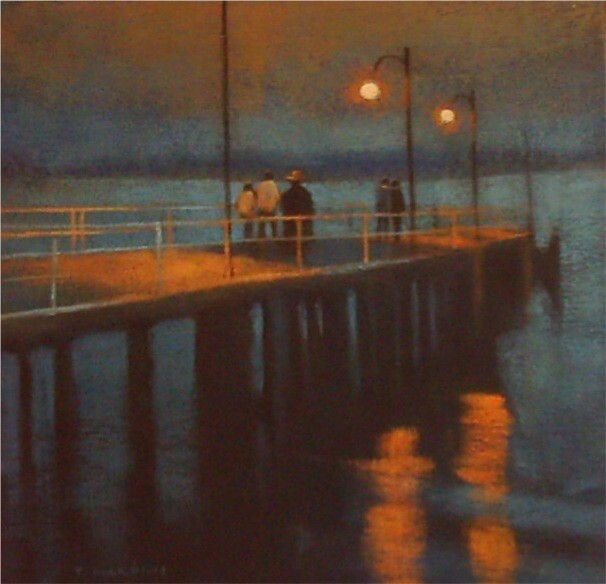 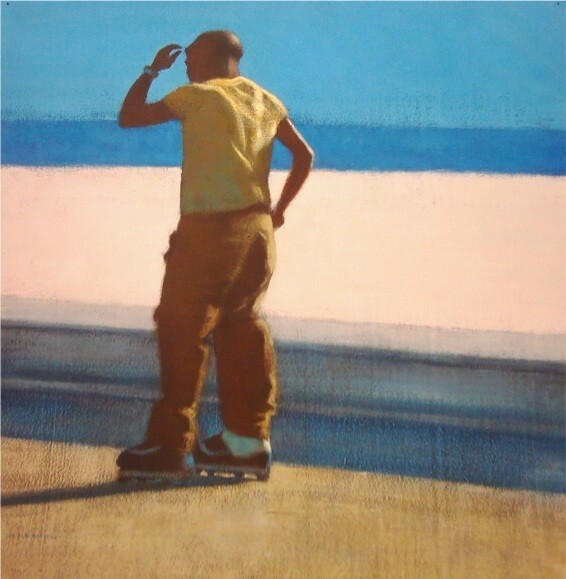 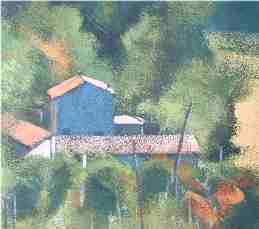 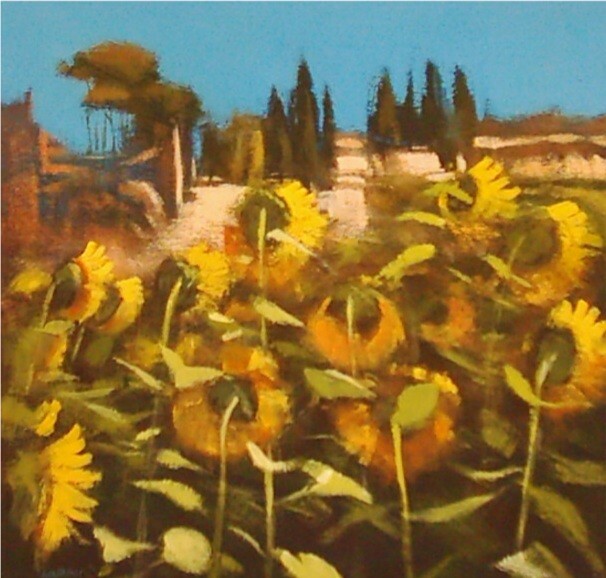 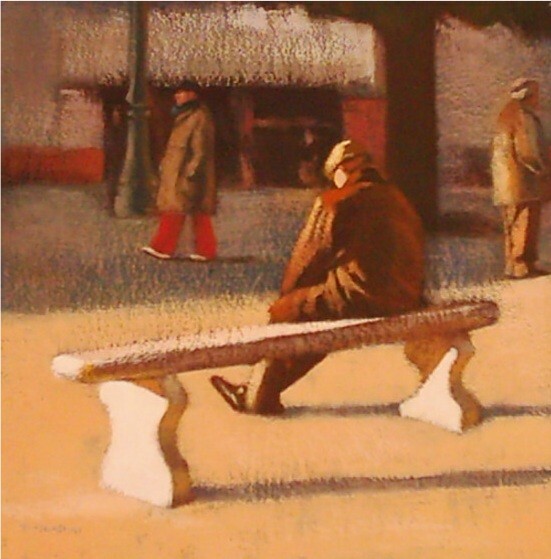 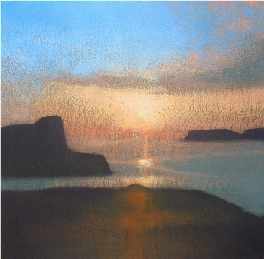 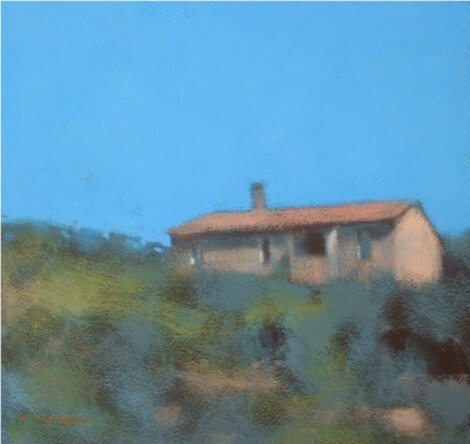 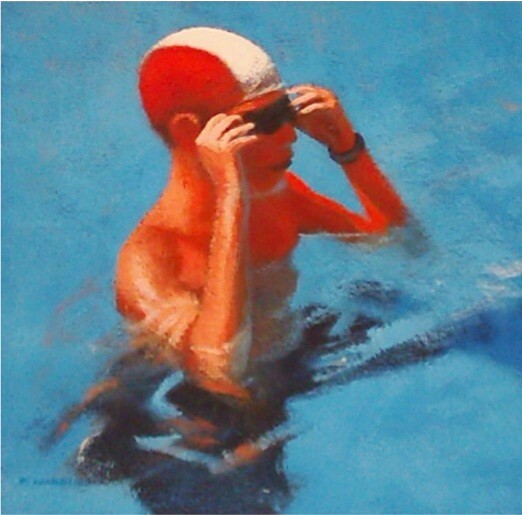 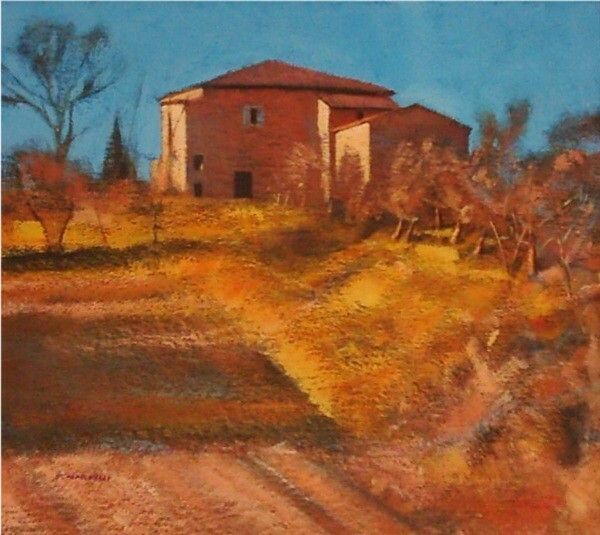 This gives a pastel�like quality to his work and allows him to build up the surface texture. 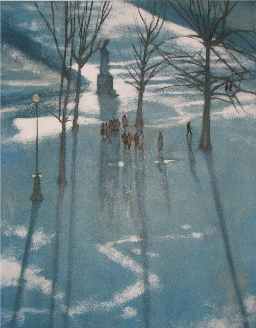 Having always been intrigued by the impact of light emerging from darkness this awareness features in both his landscape and figurative work. 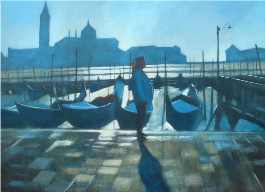 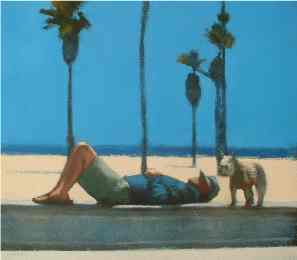 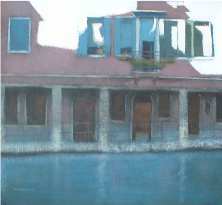 Most of his recent paintings have resulted from regular trips to Southern California, in particular the extensive beaches of Santa Monica and Venice, as well as trips to Tuscany, Umbria and Venice in Italy. 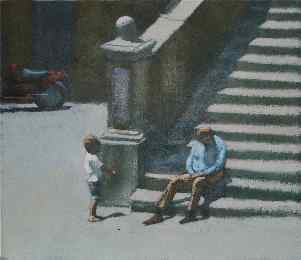 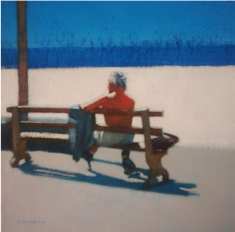 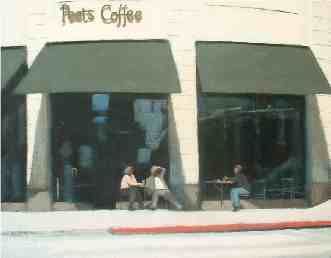 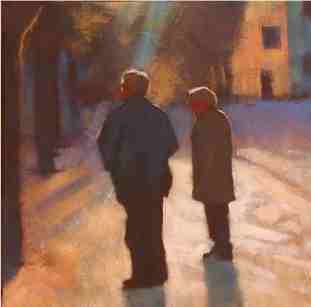 The stark contrast of bright sunlight and strong shadows provide an excellent backdrop for these paintings. 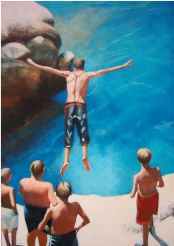 *****If you are interested in viewing, reserving or buying one of these paintings or to commission a similar painting please email us.